What to wear? Or more specifically, how should I dress a particular window? It's a common conundrum and one which I was recently asked to help solve by Apollo Blinds. The Brit Decor cottage is typically designed with small square(ish) windows, which tend to limit the amount of natural light entering our home, with the exception of a full height window in our South-facing living room. 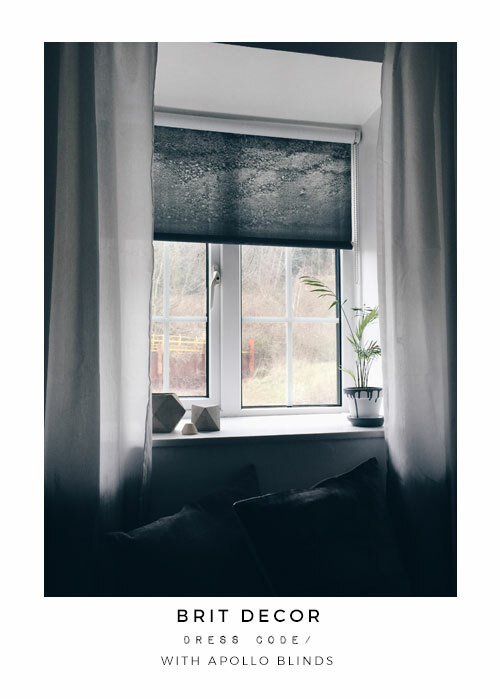 In reality this means that I need to be mindful about my choice of window dressings, with heavier fabrics further reducing any incoming light. For my North-facing office window, the 'above' considerations become all the more crucial with massively limited sunlight and filtered daylight. 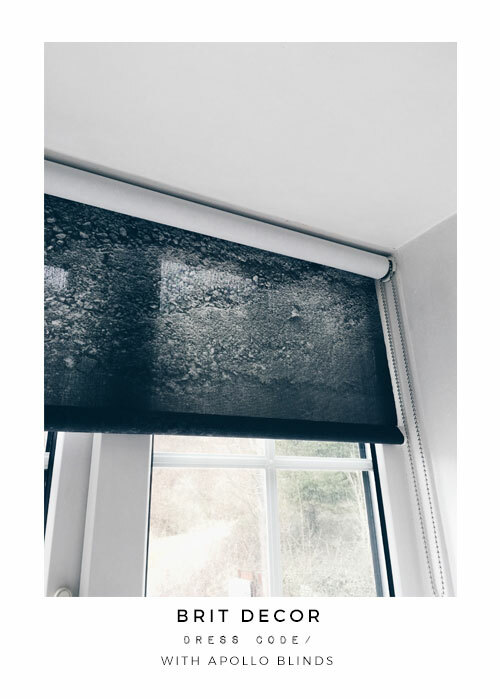 Adding a roller blind to this window means that the amount of installation space required is minimal, with the fabric neatly rolling out of sight when maximum daylight is needed. I've also opted for a slightly opaque fabric which still allows some light to filter through. 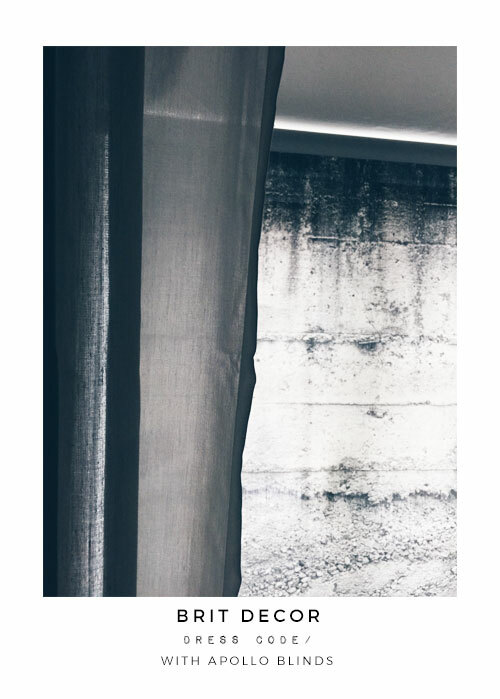 To create greater depth and a more 'dressed' look to my window, I have also added in some homemade semi-sheer dip-dye curtains, which also help soften the contours of the window. 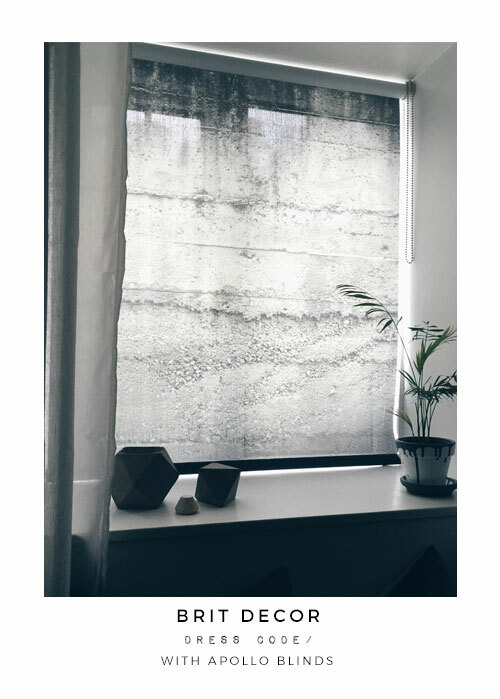 For my choice of custom roller blind design, I worked with the team at Apollo to select a unique graphic image of some concrete, which was then digitally printed onto a window blind. I wanted to emulate a highly texturised effect, plus the moody greys work perfectly with the existing grey palette in the room. I love a quick and easy design solution - don't you?